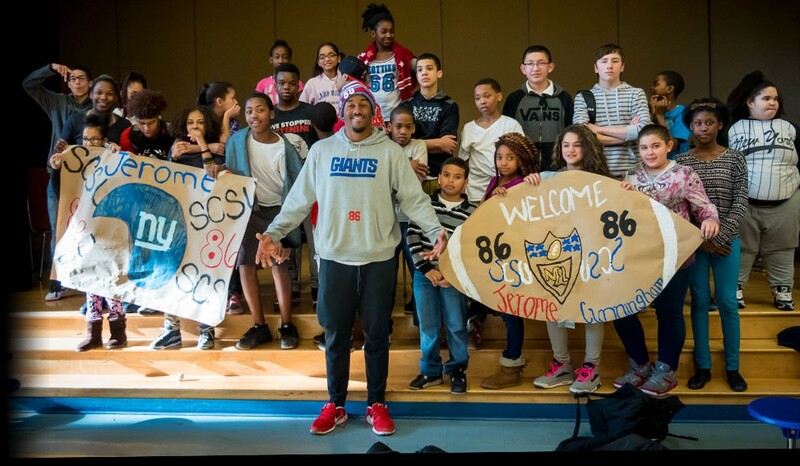 NFL player Jerome Cunningham will be among the Southern students to walk across the stage at Webster Bank Arena in Bridgeport later this month to receive their college diplomas. Cunningham, who had been a tight end with the New York Giants for the last two years – including as a starter for part of last season – said he originally came to SCSU because it was one of the few schools that offered him a scholarship after high school. Although waived by the Giants a week ago, he was claimed Monday by the New York Jets. Cunningham, who grew up in Waterbury, will receive a Bachelor of Science degree in recreation and leisure studies with a concentration in sport management. He will participate in the SCSU undergraduate commencement ceremony on May 20. “I want to be a sports agent and represent myself one day,” he said. He ended up earning a starting tight end spot. He said about the only thing SCSU didn’t prepare him for on the field was playing in front of a crowd of more than 80,000 NFL fans, compared with a maximum crowd of about 8,000 when he wore the Owls’ uniform. Cunningham has been volunteering at Hill Central School, an elementary school, where he previously had done an internship. He hopes to be a role model for the children. “I just enjoy coming back and giving back to people in the community,” he said. Before playing for the Giants, Cunningham was a four-year member of the Owls’ football team, starting at tight end for three seasons. He recorded 61 catches for 690 yards and 7 touchdowns during his career.